Does Santa have a magic bag? Think about it...he only has one night to deliver gifts to every single child in the world....THE WORLD. I don't know about you but we thought he'd need more than just a single bag. We were thinking he would need, like, at least two... So is his bag magical or what? As much as we'd really like to know, there is just no telling whether or not there is a magical aspect to his bag. Just to let you know up front, our Santa Sack is not magical. It does, however, hold quite the abundance of toys. Although if you try to fit a million toys into it, it will break. There's no doubt about that... unless the toys you're giving out are reeeally tiny, like, microscopic. 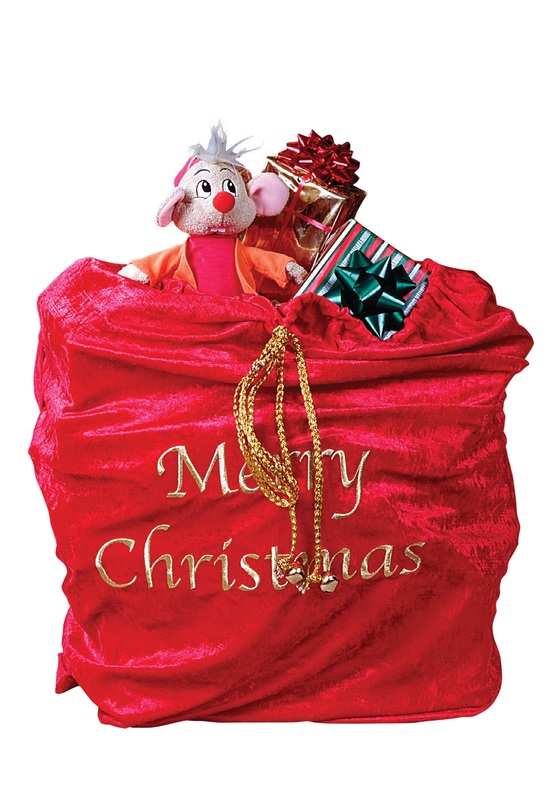 So grab this Santa's Gift Sack accessory and help the real Santa out a bit by giving a few kids a memorable Christmas experience with the aid of this toy bag and a holly-jolly attitude this year!